Here at Morphic, we love a romantic bride! We've been discussing the elements that really bring that special oomph—from the hair to the makeup. The romantic bride is intricate braids, elegant updos and cascading waves. A natural makeup look is essential, though occasionally a bold lip is just the ticket! 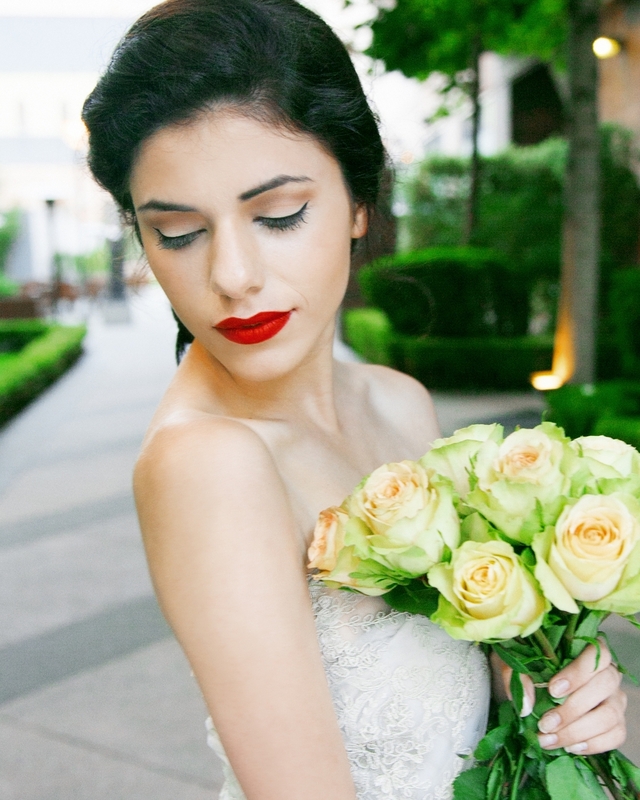 We'd love to create your romantic bridal look! ARE YOU READY TO GET BOHO? Wedding Season is here! It's much like baseball season, except much more stylish. But, that's just in my humble opinion. This year, we want to show you a few of our favorite looks, starting with the Bohemian Bride! The boho look is all about flow and natural, so we pulled out plenty of flowers for this shoot! Our models Allegra Dimperio and Sadaf Malik rocked it! We had such a great time! Make sure to contact the salon for your wedding hair bookings.